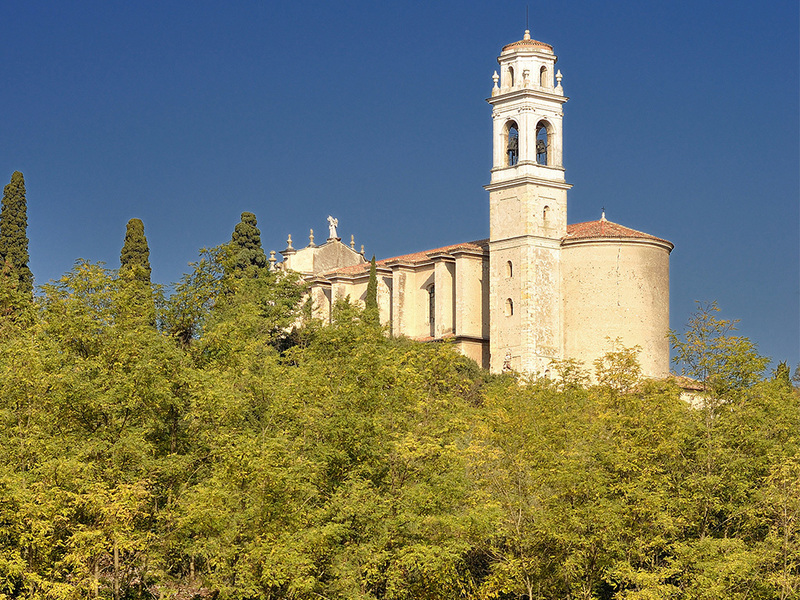 Holidays in Monzambano ↔ Discover Lake Garda! 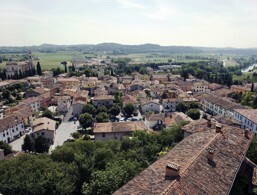 The medieval town in the south of Lake Garda is a secret tip for wine connoisseurs. Monzambano is not one of the top holiday destinations at Lake Garda, and maybe because of this, it's worth a visit. 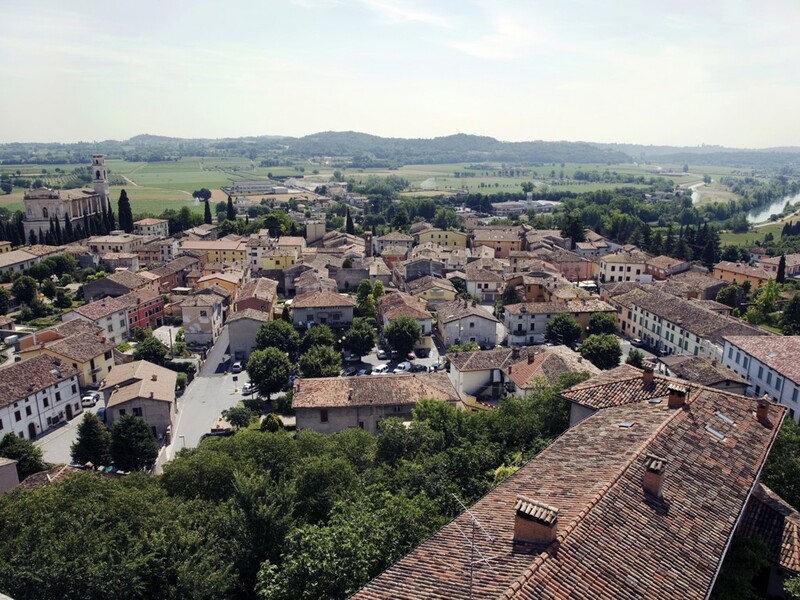 The charm of Monzambano is not only due to the medieval architecture, including the castle in the centre, but also to the heavenly wines that are pressed around Monzambano on the Mantuan wine route. Sit back and relax as pure luxury is the order of the day. The lush wines are just as much a part of the great atmosphere, as they are an exquisite meal. With the magnificent parks of the Mincio, its large dam in Valeggio sul Mincio and the splendid Castellaro Lagusello Castle, it almost feels like you're in Tuscany. Monzambano really starts to shine when the crickets in the evening begin to sing their song, and you can enjoy a romantic dinner under the stars. 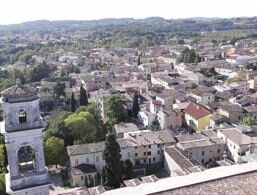 Monzambano is just a stone's throw from Sirmione, Peschiera or Desenzano. Amusement parks such as Gardaland, Caneva World or Sigurtà Park Botanical Garden are also within easy reach. Castellaro Lagusello Castle is among the 25 most beautiful and best-preserved castles in Italy. It is located near Monzambano and is definitely worth seeing. The church of Monzambano was built in the 18th century. Almost entirely decorated with marble, on the main altar you can see the triumph of S. Michele Arcangelo, to whom the church is also dedicated.